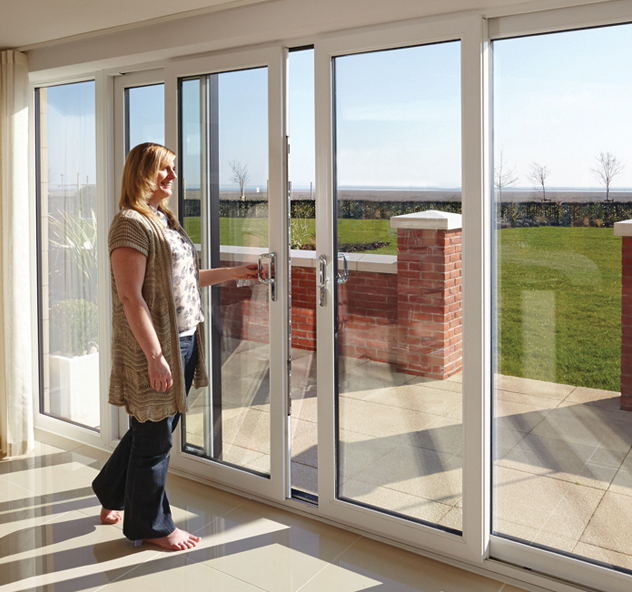 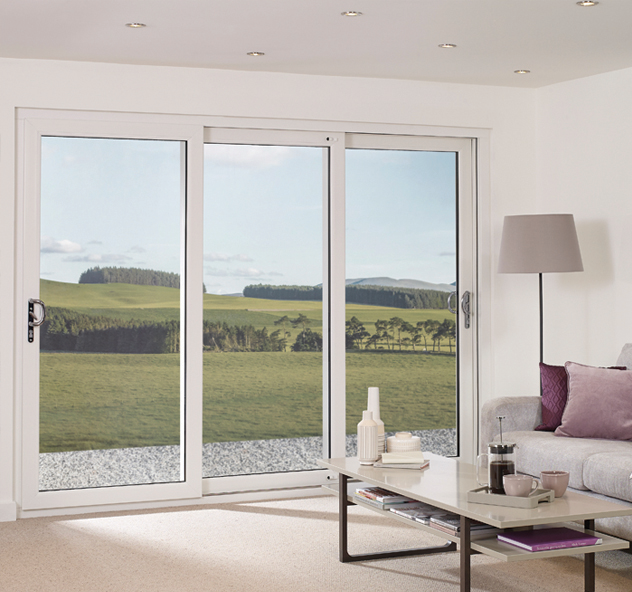 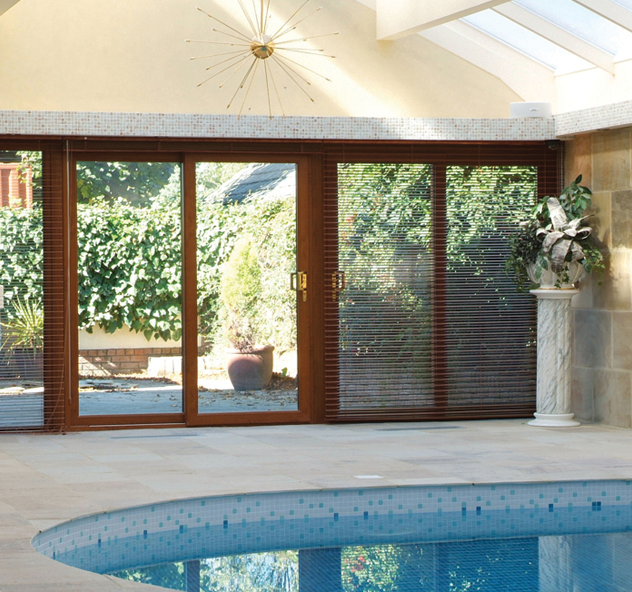 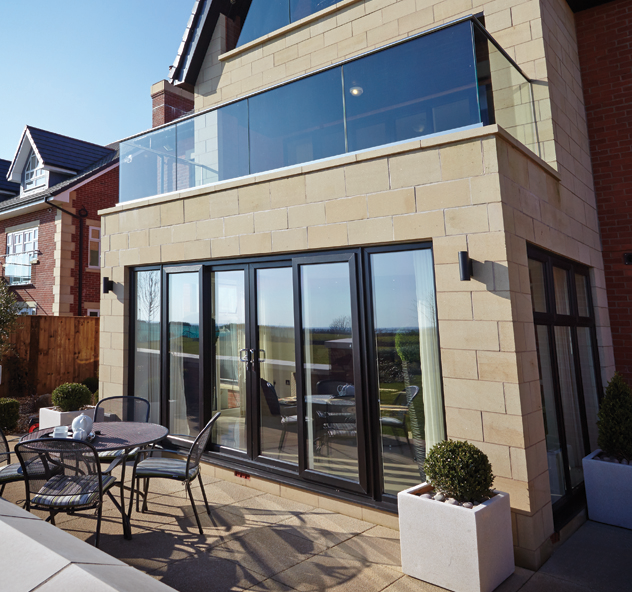 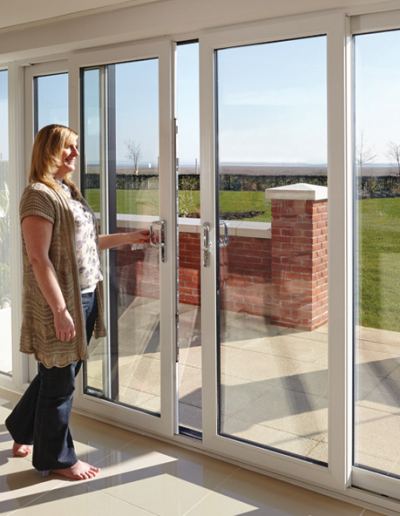 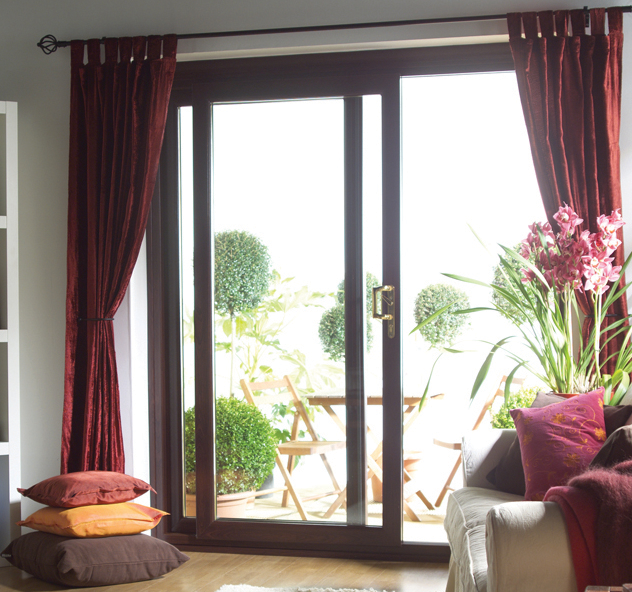 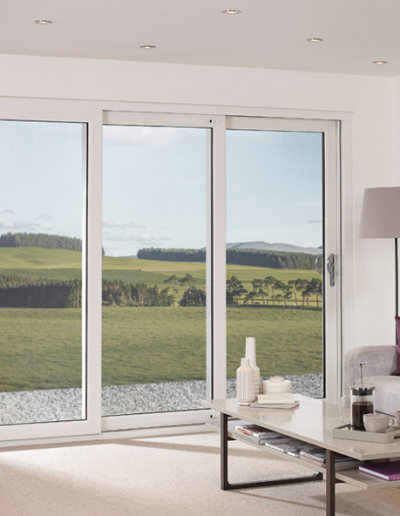 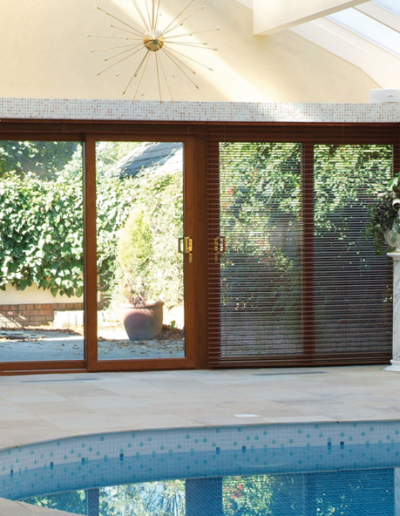 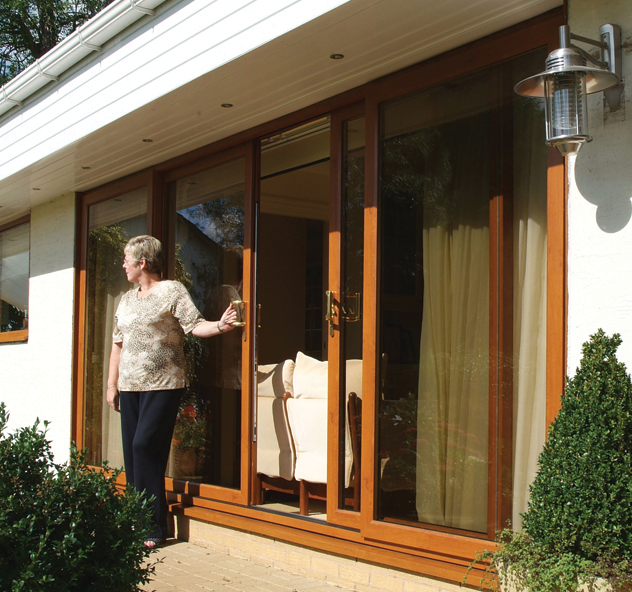 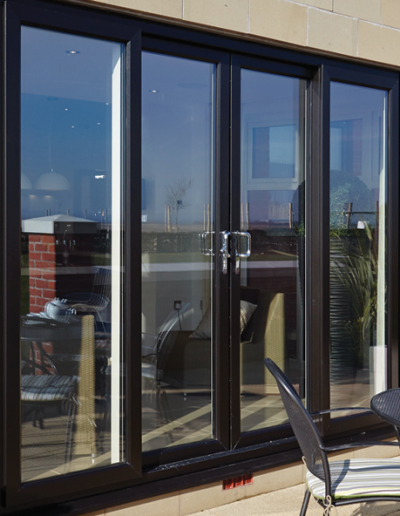 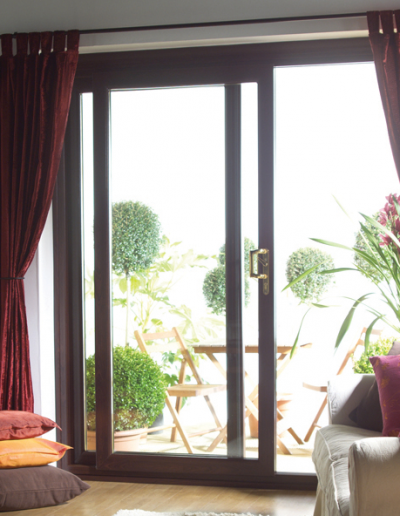 Our Patio Doors are manufactured from industry leading components and to the highest of specifications. 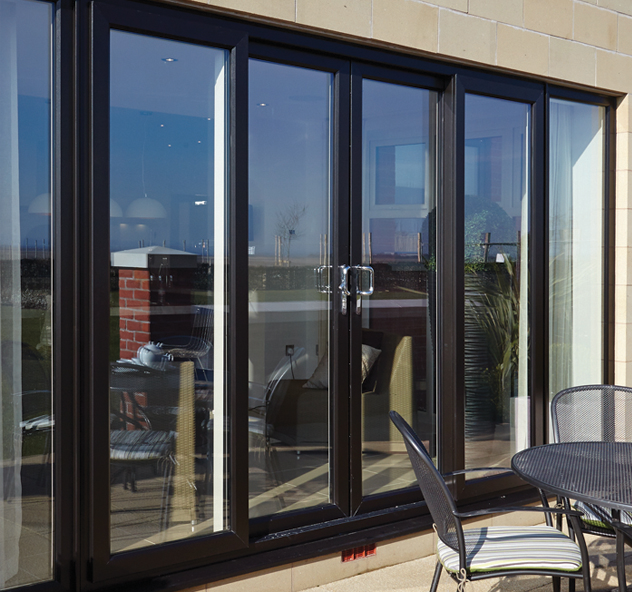 It’s this commitment to quality that allows us to produce bespoke, precision made doors in a range of colours and configurations – we believe you will not find a more stylish or safer option than our patio doors. 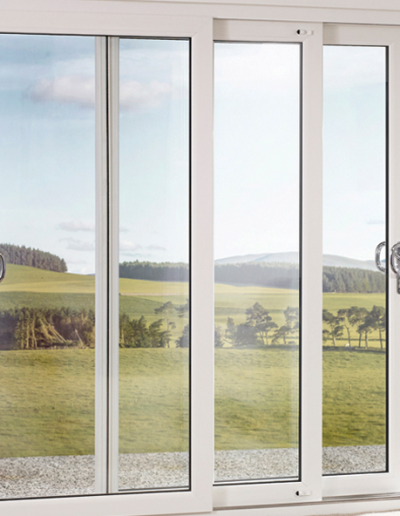 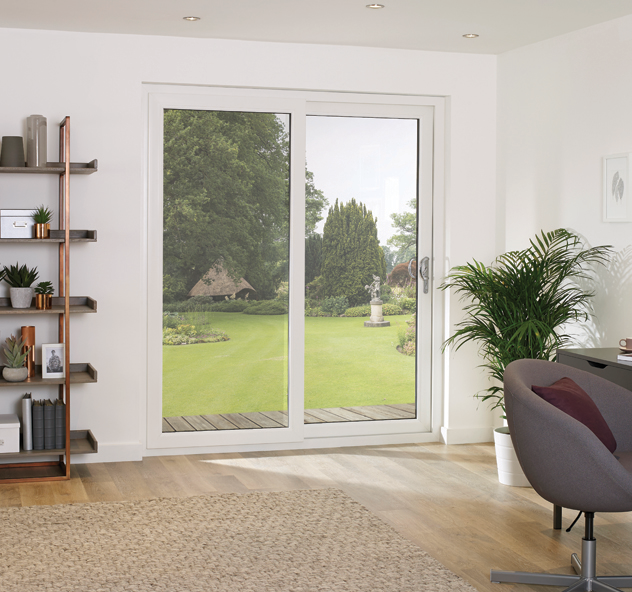 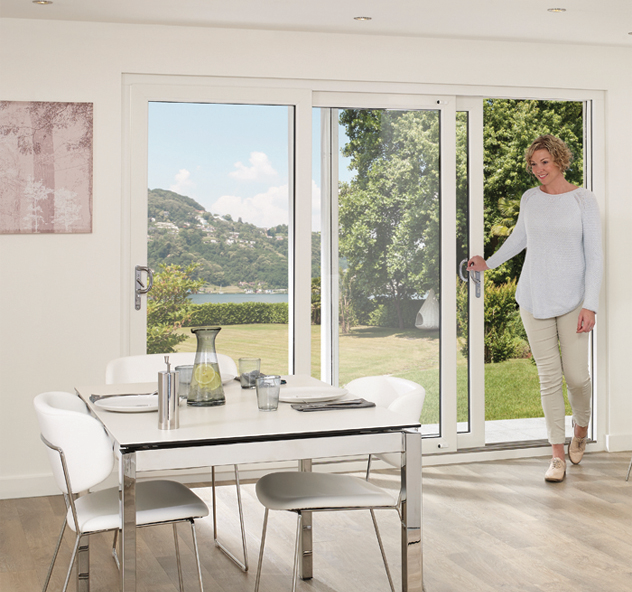 Available in 2, 3 or 4 pane designs our expertly engineered and assembled sliding patio doors are suitable for a range of functions, from conservatories and pool houses to interior room dividers, their versatile design makes them suitable for almost any application. 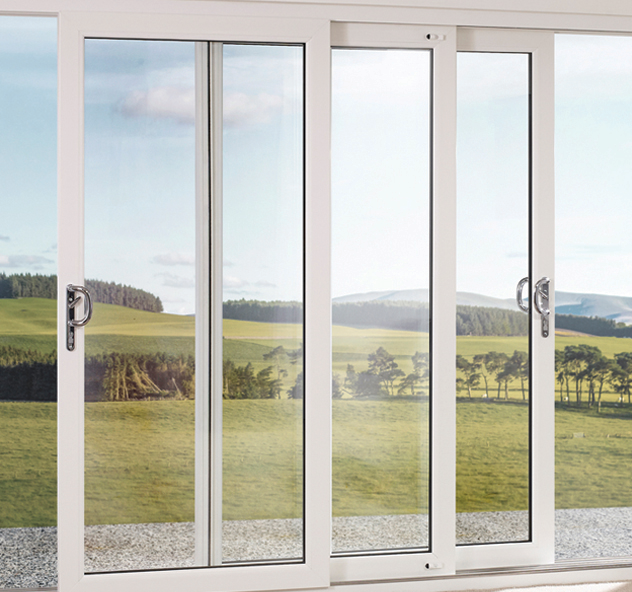 All of the doors are double glazed to a thickness of 28mm, which, combined with the galvanised steel reinforced PVCU structure and a three chamber sash, provides unparalleled levels of thermal efficiency and security.